his coronation ceremony as the new Oba of Benin Kingdom. acknowledge his guests before returning to his abode. 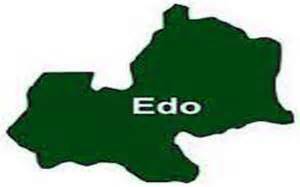 (EDSOPADEC), Mr. Victor Ekhator, said it marks a dawn of a new era in Benin history, as the people get a new king. she was in a better position to relate the story to her children. We are very happy for it. you can see all the chiefs here dressed in white, to follow him down to Benin. was not made a chief of the palace then. I know the history. happiest person on earth because as a chief, I have easy access to the king. will be sitting right with the king. He is now for everybody. “Edaiken himself as king, does not like lies. be closer or be his friend, tell him the truth. are not truthful, he will not be happy with you. happy with f you”, he said. be part of the ceremony. Edaiken N’Usele. I will join in the trekking.